You might be enjoying the luscious fall foliage now, but winter will soon be in full swing. Freezing temperatures and winter precipitation can negatively affect roads and vehicles but taking proper precautions before hazardous conditions takeover means you’ll be prepared all season. Regularly checking and servicing your vehicle ensures it runs smoothly all year long, but fall is especially important for catching up on maintenance you may have missed over the summer. Check fluids–top off the oil, transmission, coolant and brake fluids. Making sure you have high-quality filters matters, as well. Give the brakes a little TLC. Are the rotors warped? Are pads worn? Harsh weather conditions can impede a car’s ability to stop, so it becomes crucial that brake systems (including exterior lights) work properly. In addition, windshield wipers, if older than six months, should be replaced and freeze-resistant wiper fluid supplied. Fall provides the perfect opportunity to have tires rotated and inspected, as bald or dry-rotted tires are no match for icy roads. Even if tires are on the line, it’s best to err on the side of caution and have them replaced. 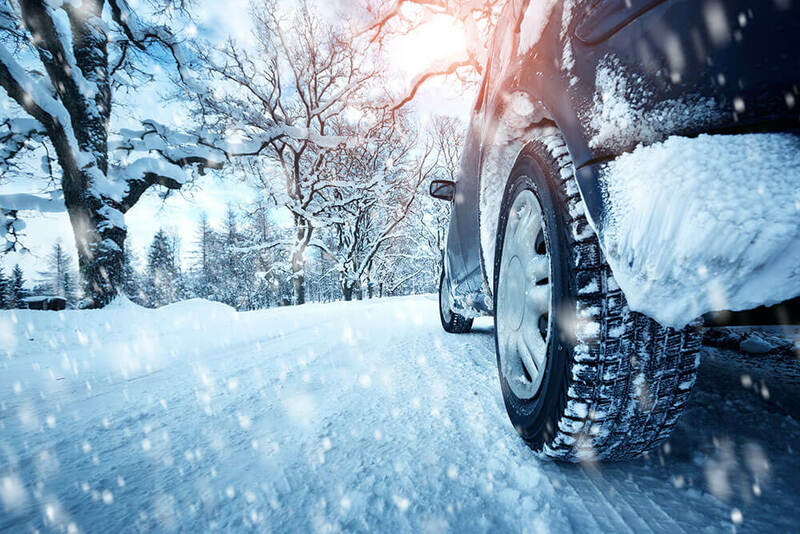 Even better, you might look into purchasing snow or winter tires, as they come with special rubber compounds that resist low temperatures and have deep treads to keep you safe on ice and snow. Just because a vehicle’s interior is somewhat shielded from the outside doesn’t mean it can’t take a hit during cold months. All-weather floor mats offer a convenient way to keep things clean, and consistently wiping windows safeguards against low visibility. Taking the time to get this system checked is vital before winter because extreme temperatures can send a so-so system into full-on dysfunction. If any part looks worn, have it replaced, and don’t forget to focus on radiator pressure, hoses and pumps. Don’t risk your safety this winter. Taking time to thoroughly prepare means you and your vehicle will be ready for another Ohio winter. And remember, professional help is only a phone call away. For all your vehicle’s needs, call ER Auto Care at 614-873-3952 today!